The number of radioactive boars in Sweden is increasing, more than three decades after the Chernobyl nuclear disaster caused radioactive pollution in the country. A wild boar was found to have radiation levels more than 10 times over the safety limit. Hunters in Gavle, a city in the north of Sweden, have been warned of “extremely high” levels of radiation in boars this week. “This is the highest level we’ve ever measured,” environmental consultant Ulf Frykman told SVT, after testing an animal in Tarnsjo with radiation levels of 16,000 becquerel per kilogram (Bq/kg). The Chernobyl nuclear disaster in 1986 caused a cloud of radioactive particles to move from what is now Ukraine to settle over Sweden. When it rained, the area around Gavle bore the brunt of the radioactive pollution. The disaster was caused by a faulty reactor and released radioactive iodine and caesium-137 into the atmosphere for 10 days, 400 times more radioactive material than the atomic bomb in Hiroshima. Soon after the accident, deer around Gavle in Sweden had radiation levels of 50,000 Bq/kg. Frykman and his team have tested 30 boar samples this year and only six have had radiation levels below the safe limit of 1,500 Bq/kg. While radiation levels in animals like reindeer and elk in Sweden have been decreasing since the 1986 disaster, boars are moving north to areas worst affected by the pollution. Their feeding habits also expose them to caesium-137 more than other animals. They “root around in the earth searching for food, and all the caesium stays in the ground,” Frykman said. “When they reach our worst areas, we’re expecting maybe 40,000 Bq/kg — that's starting to look like 1986 for us all over again,” he said. 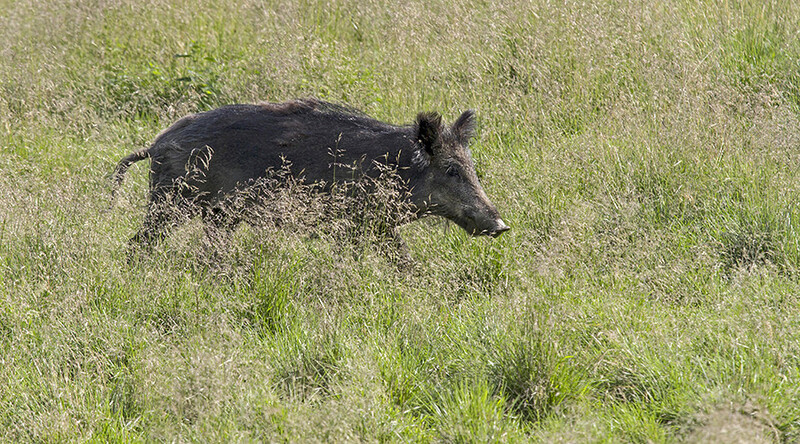 Wild boars have been moving north in Sweden after they were reintroduced to the south of the country in the 1970s. Should the threat of radiation levels stop boar hunting, farmers fear the boar population will grow out of control.